The Crusaders will take on the Lions on Saturday morning (European time) in a repeat of last year’s Super Rugby final, which Crusaders won 25-17 in South Africa. However, this time the Crusaders will be the ones hosting the event at the AMI Stadium in Christchurch. It has been a virtually perfect seasons for the Crusaders so far, as the New Zealand side dominated the Super Rugby with authority for the second year in a row. Crusaders finished the regular season with a 14-0-2 record (three more wins than any other team) and cruised through the playoffs as well – defeating the Sharks 40-10 in the quarters and the strong Hurricanes 30-12 in the semifinals. The Crusaders are hands down the best team in the competition and will definitely be very confident of winning their second Super Rugby title in two years. The Lions finished with a 9-0-7 record in the regular season and at times they showed some weaknesses, but they seemed to step it up a notch in the playoffs, winning 40-23 against the Jaguares in the quarters and 44-26 against the Waratahs in the semis. A fair point can be made that the opposition wasn`t that great in the KO rounds, but still the Lions played some great rugby, particularly offensively. They will hope this will be third time lucky for them after losing the Super Rugby final in both 2016 and 2017. Bet on Crusaders vs. Lions and claim your 100% (100 Eur) freebet at Ohmbet now! The Crusaders will field the same lineup as in the semifinals with a single exception, as the injured Jordan Taufua will be replaced by Heiden Bedwell-Curtis. The Lions have no new injuries, but will still make two changes in the lineup compared to last week`s semifinal. Looking at this Crusaders side and at how they are playing, they seem virtually unbeatable at the moment, especially at home. From 1 to 8 they are almost the All Blacks team, they have explosiveness on the wings as well, and are playing together for two years straight now – developing great chemistry. The Lions are one of the best teams in Super Rugby themselves, but in all honesty it would be a small miracle if they could even get close to winning this game in New Zealand. They couldn`t even beat the Crusaders in South Africa in the last two years. This season they lost 8-14 at home in the only meeting in the regular season, and last year they lost 17-25 in the final they hosted. The Crusaders proved against the Sharks and especially against the Hurricanes (arguably a better team than the Lions) that they are at a peak level in these playoffs, so expect them to come out strong and impose their rhythm right from the start. The Lions also got good results in the playoffs, but against inferior opposition. And their defense will be a real reason for concern, having conceded 23 points from the Jaguares and 26 from the Waratahs in the last two outings. These are two teams that would get absolutely smoked by the Crusaders and if the Lions don`t improve quickly in that area, they could be in for a very long day at the office. All in all, expect a dominant win for the home team here. The line is pretty cleverly set around 17 points, so it is pretty high and it will not be a walk in the park for the hosts to cover it. Nevertheless, the Crusaders are used to covering big spreads, and they should be able to do it again here. If they beat the Hurricanes by 18 in the semis, they should be able to at least do the same to the Lions, although this is obviously only a superficial take on things. All in all, my tip here is the Crusaders to win a second straight title and cover the 16,5 point handicap in the process. 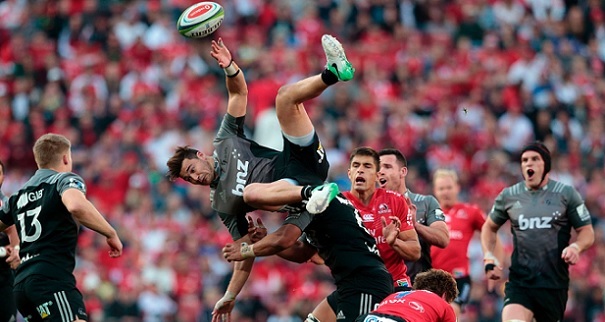 Prediction: Crusaders – Lions 35 – 14.